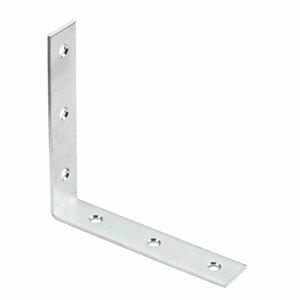 Our largest corner bracket measures 100 x 100 x 1.6mm and is great for our heaviest worktops. It is constructed using durable steel and finished with a zinc plating, meaning it can be used for many different fixing needs in your kitchen. Order this product in packs of either 10 or 100.